Want the most premium running machine your money can get? You might want to consider the Best Treadmills Under 1500. Do you sometimes wonder if you are spending your money correctly? Thinking about where to invest it? Think no more! What’s the better way to do than investing in your own health and fitness? Introducing the Best Treadmills Under 1500 US Dollars! Within this price range, you can get some of the best treadmills in the entire industry. By using these models, you will have the best possible options for running, jogging, and walking exercises right in the comforts of your own home. Without further ado, let’s start discovering the best treadmills under 1500. You deserve something better – like the ProForm Pro 2000. No lower-end model can beat this one. For starters, you have a 7-inch backlit LCD for a bigger and wider view. Now your iFit experience will never be the same. For added entertainment, the unit is iPod compatible, allowing you to boost your favorite playlist with the 3-inch digitally amplified long-throw speakers. At the heart of the treadmill is a powerful 3.5 continuous horsepower Mach Z commercial motor. If lower-end variants can only go as fast 10mph, the ProForm Pro 2000 can go as fast as 12. Going for a steep hike? You can prepare your body with the unit’s 15 percent quick incline. The impressive thing is it can also decline down to 3 percent. Terrain simulation has never been this accurate. 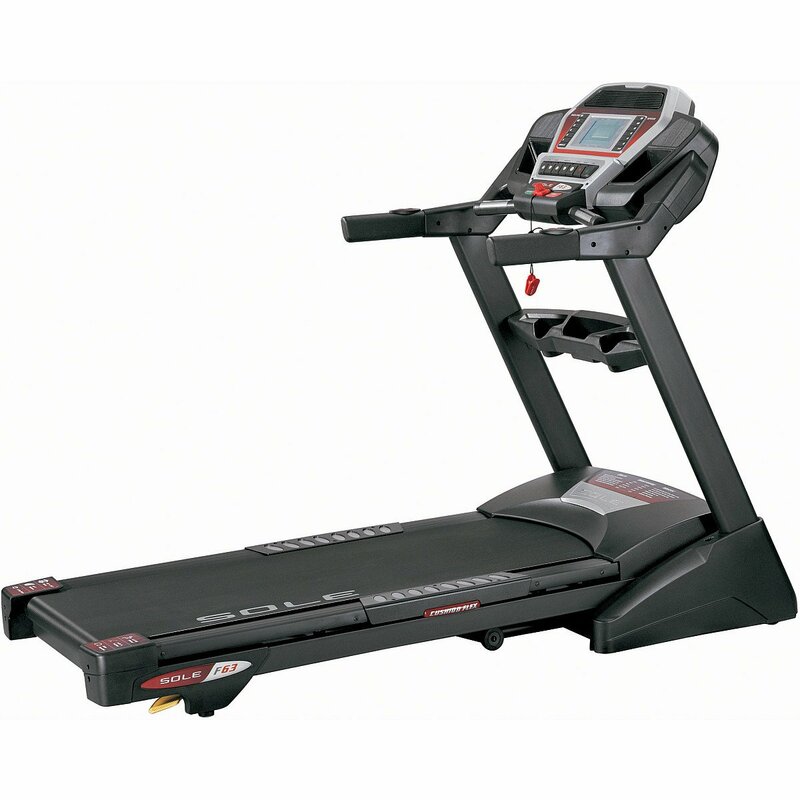 Overall, the ProForm Pro 2000 sets the standards for the best treadmill under 1500. Another ProForm has entered the competition. The ProForm 6.0 Treadmill is ideal for all levels of training. It packs a robust 2.5 continuous horsepower motor so every day becomes a race day towards your road to fitness. Designed by certified personal trainers, the treadmill comes with 20 workout programs and apps dedicated to pushing you into the limit. Track your progress with the Grip Pulse heart rate monitor and via the LED display with round watts technology. The screen displays your power output, allowing you to track different levels such as Peak, Tempo, or Endurance zone. Slow and steady workout falls on the endurance category. The Tempo zone trains you to attain an ideal heart rate based on your weight. Ultimately, the Peak zone is the moment you achieve optimum cardio level. Multi-tasking is a breeze with the integrated tablet holder. Now you can mount your iPad right in front of you and use apps without ever holding it; all your entertainment must-haves is now within reach. Terrain simulation is now made as realistic as possible with iFit compatibility. Ever wonder what it’s like to run the streets of Paris? Want to jog around Barcelona? You can virtually have the same experience with the iFit feature. The best part is how the treadmill automatically adjusts the incline to mimic the trails of the actual location. 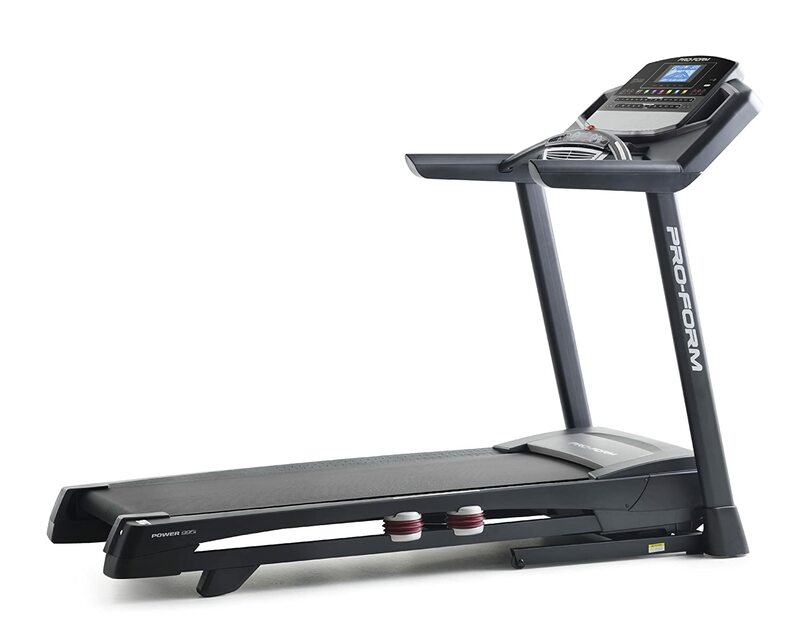 Overall, the ProForm Sport 6.0 makes a competitive treadmill with the vast functionality it can offer. This one comes with a large and vibrant 6.5 inches screen paired with integrated speakers and audio cable for your entertainment connectivity. The unit even comes with built-in fans so you’ll have an endless supply of moving air to keep you feeling cool while doing your workout. The SOLE Fitness F63 is dubbed by the manufacturer as an ‘entry-level’ folding treadmill; however, its features and specs say otherwise. 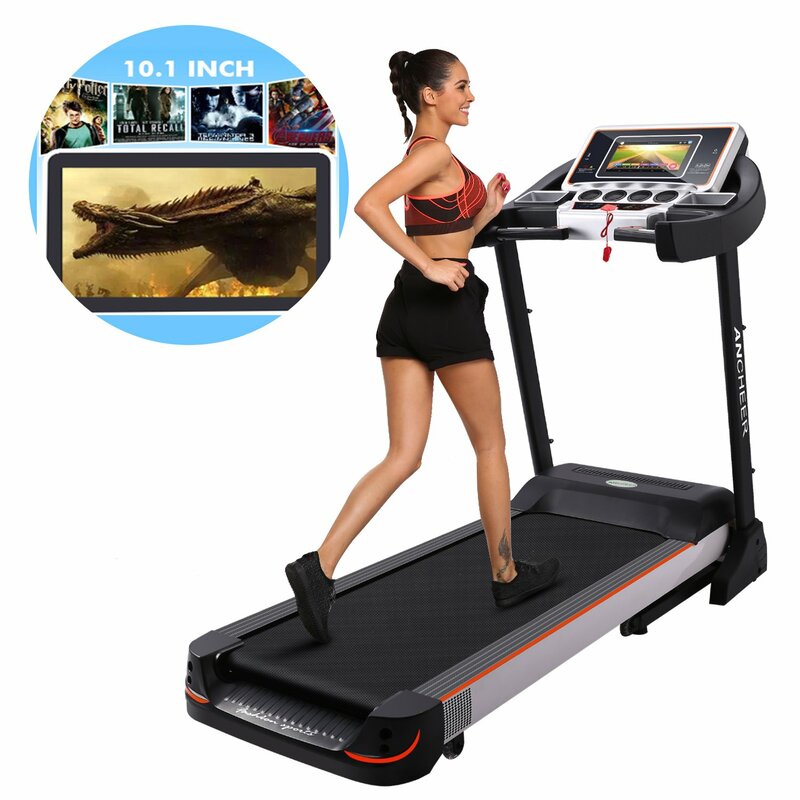 This treadmill actually packs high power and reliable functionality that is one level higher than any other entry-level competitors in the market. For starters, this one packs a powerful 2.5CHP motor at its core. Its capacity is hard to match – a person as heavy as 325 pounds can use the treadmill. The model is crafted with a zinc-coated all-steel balanced flywheel, precision engineered to give you a quiet, secure, and vibration-free walking or running. Further, you’ll surely like the easy assist folding deck design complemented with the phenolic shock-absorption system. The size of the running deck is pretty good enough at 20” by 55” – you won’t feel like you’re confined in a limited space, giving you a different sense of freedom while doing your workout. The SOLE Fitness F63 folding treadmill is declared as a “best buy” for two years in a row by a leading consumer magazine. It seems ProForm has a lot of entries in store to compete in different categories. Not only did this brand dominate our list of best treadmill under 1000, they also have several models that made it into our best treadmill under 1500 list here. 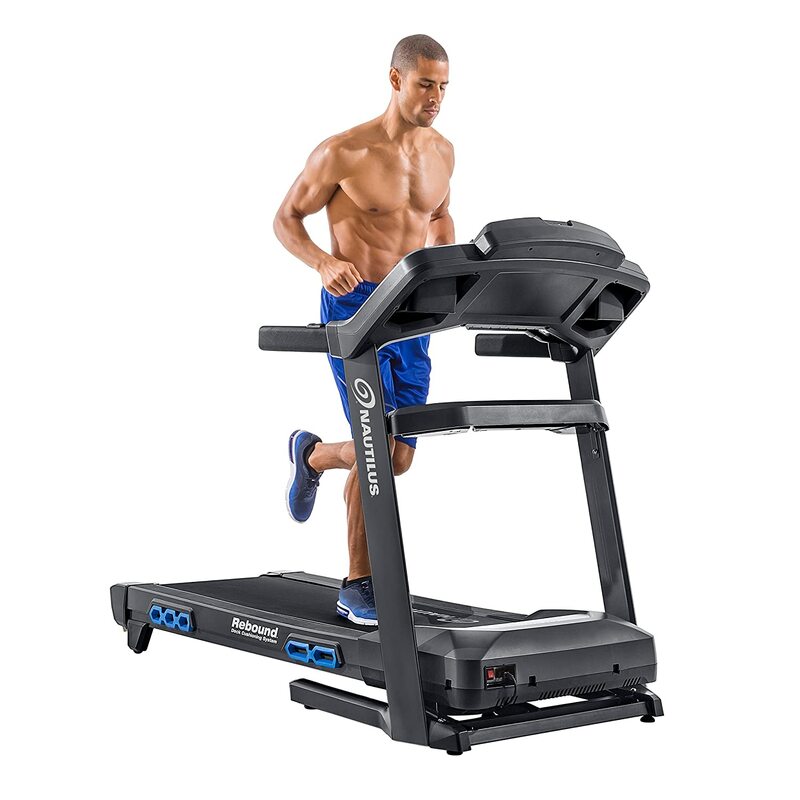 The ProForm 995i Treadmill packs a staggering 3.0 CHP drive system that gives power to the 20” x 60” non-stretch belt – the longest on the list along with the ProForm Pro 2000. It comes with the brand-exclusive ProShox cushioning – a comfortable 1-ply commercial belt that significantly improves your workout efficiency. The unit also possesses technological advancements that you can’t find on low-end counterparts. Things like the wide 7 inches screen that’s internet-connected to use iFit make a huge difference. With the iFit-enabled feature, you now have access to a world of terrains you can set your foot upon – right at the comforts of your own home. If you’re a fast runner by heart, you’ll surely appreciate the 12mph top speed of this treadmill; other models can only go as far as 10. While low-end competitors can only incline up to 12 percent, this treadmill can go as high as 15 percent! You can now exercise as if you’re hiking a steep hill. Lastly, being a heavy person is not a problem with this model as it can accommodate users up to 350 lbs. The NordicTrack C 1650 comes with a staggering 10 inches touchscreen. Now your treadmill web experience will never be the same. You now have a wider view of your time, speed, calories burned, distance, heart rate, decline, and incline – all in the easy-to-read screen. Power is also something that makes this treadmill a champion. At its core is a jaw-dropping 3.5 continuous-duty horsepower drive system that will not fail on your workout sessions. While the specs scream beast, you’ll surely be surprised by how the unit operates quietly. The motor is housed with a bigger motor case to significantly reduce vibrations. Overheating is also kept at bay by the embedded cooling fans. With the 3.5 horsepower motor, you are sure to have continuous smooth and consistent operation. Not only did the brand focused on making the motor quiet, they also took the time to engineer the tread belt itself – crafted to reduce friction and noise. As a result, you have a stretch-resistant, longer-lasting running belt precision engineered to stay centered on the deck. Further, this NordicTrack also made into the highest echelons of lengthy tread belts. Added features include iPod connectivity that allows you to play your favorite playlist while on the move. The beauty of embedded sound systems is you no longer have to wear your earphones – which can get pretty annoying when they fall off during work out. Surely, the 2-inch speakers will suffice to keep you entertained. Introducing a stylish treadmill that delivers unparalleled performance with its 3.75 continuous horsepower motor. The Bowflex BXT116 treadmill stands out among the crowd with its sophisticated black shade and red accents. You can run, walk, or jog on your way to achieving fitness results with this Bowflex Results Series. Coming from the higher-end tier, this Bowflex also delivers the kind of performance you can only get in this price range. Built to last and withstand the toughest workouts you can ever imagine. All of this while simultaneously merging technology and connectivity in the experience. You can expect impressive impact absorption brought by the Comfort Tech running track. It gives you great support and a softer landing. You’ll also like how the track stretches 60-inches in length, giving you a longer running path you can enjoy. Connectivity is also something that you’ll never run out with. The brand runs their own fitness apps called Results Series App and the RunSocial App. You can capture and track your fitness sessions and sync them in the apps through Bluetooth Connectivity. The RunSocial App can be your partner in your regular training. Choose between 27 routes and 19 locations. The best part is you can actually run alongside with your friends in real time – who must also have the same app – even though you’re not physically together in the same room! Bowflex engineering also took space-saving into mind. This treadmill is designed to fit virtually any room in your home. You can expect safety in terms of its folding system. The treadmill will descend gently and will “softly drop” every time. Technology also runs through this model’s veins. For starters, you get a 7.5” full color, back-lit LCD screen with multiple workout programs you can enjoy. The treadmill is also packed with custom programming and meter gauges for you to use. Overall, the Bowflex Results Series BXT116 treadmill is just the right motivation you need in having the results you’ve always wanted. The 10.1-inch screen version of the Brinymo treadmill has average specs compared to others on the list. However, it is also one of the cheapest. With its price being quite low relative to its specs, the Brinymo Treadmill has a place in the Best Treadmills under 1500 list. What the Brinymo treadmill lacks in power, it makes up for it on its built-in features. Its control panel comes with an HD 10.1-inch screen, with a lot of embedded options inside. You can be online while working out with its WIFI system. You can record your speed and distance along others such as calories burned, live heart rate values and more. All these will be displayed alongside the built-in program that you are currently using. 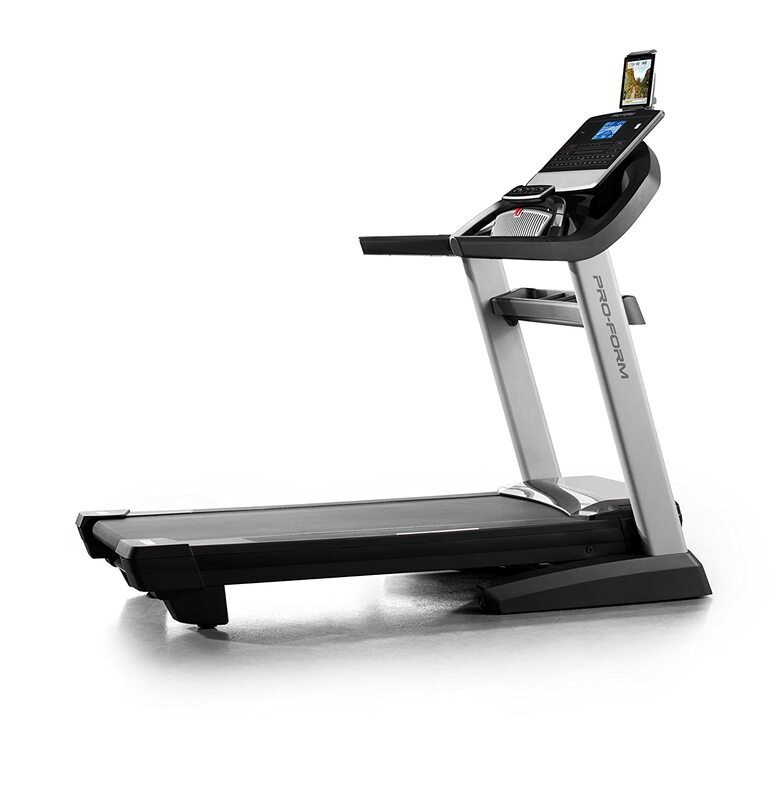 Like the name implies, the Ziema Home Gym Treadmill comes in with multiple features. The most notable of them is the 15 levels of inclination options, giving the user a vast range of possible workout routines. The color touch screen is high definition, and built inside it are multiple features fit for any potential users. Some of them include a standard heart rate monitor, WIFI, Smart Touch, and built-in high-quality speakers. It can also record your results, progress, and performance live. Some attributes that can be recorded are burned calories, average and live speed (mph), distance traveled, and more. The Ziema Home Gym Treadmill’s foldable design means that its portability can compete with others of its price range. It also has a good damping system aiming to give its users the maximum amount of comfort possible while doing the workout. 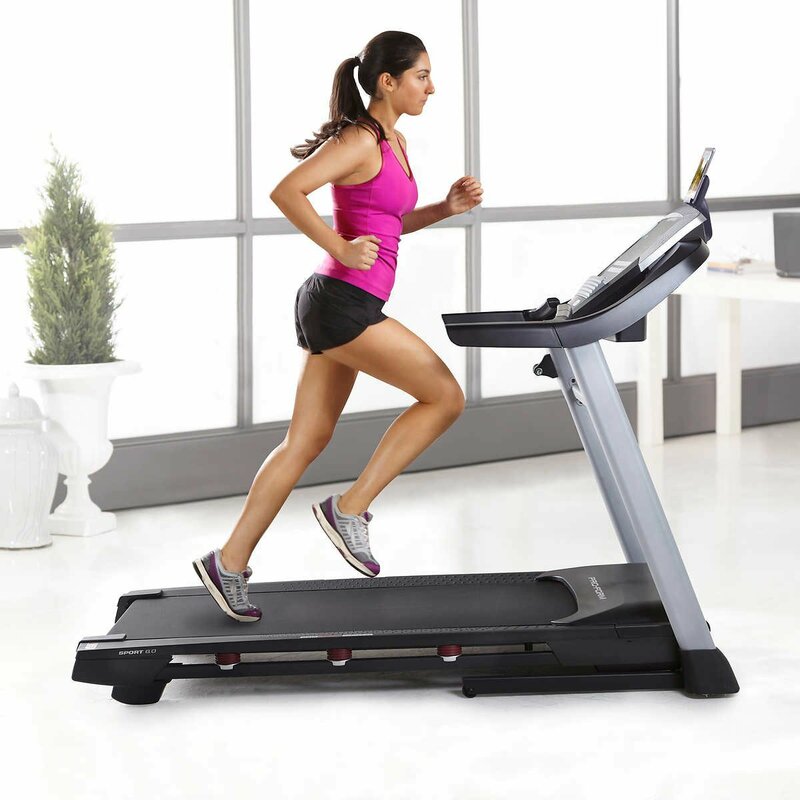 This treadmill is crafted with a runner in mind, which means that it offers a wide and comfortable running area. The thing that stands out about this treadmill is the power behind its motor. It comes with 5.0 horsepower, which makes the Ziema Home Gym Treadmill the one with the strongest motor on this list. Due to its power, the treadmill can go up to 12 mph. The amazing thing is that despite all that, the treadmill runs smoothly and almost entirely noiseless. Furthermore, not only is the treadmill strong, it is also durable. It can handle up to 440lbs of weight. You can be assured that this treadmill will not let you down. The Ziema Home Gym Treadmill is clearly one of the best treadmills under 1500 USD. ProForm has been known to produce high-quality treadmills and the ProForm PFTL15116 PRO-5000 Treadmill is one of them. It is one of the best treadmills under 1500 USD, and deservingly so. It has the second strongest motor at 4.0 HP. It does not stand-out on anything else, in particular, save maybe from the strong motor, but it also does not lack in anything. 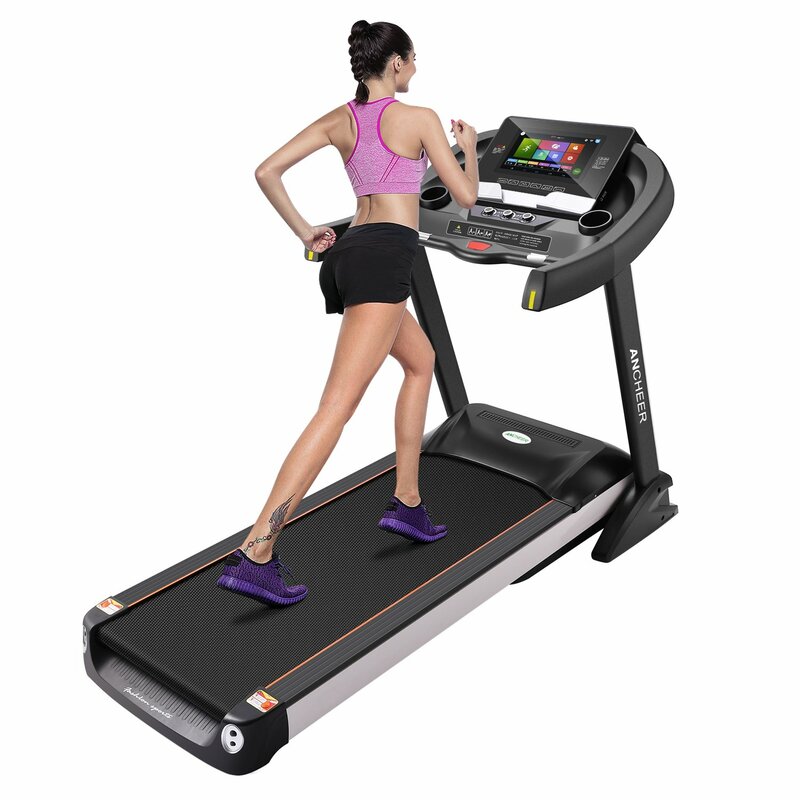 It is well balanced and has all the features you might want in your treadmill. 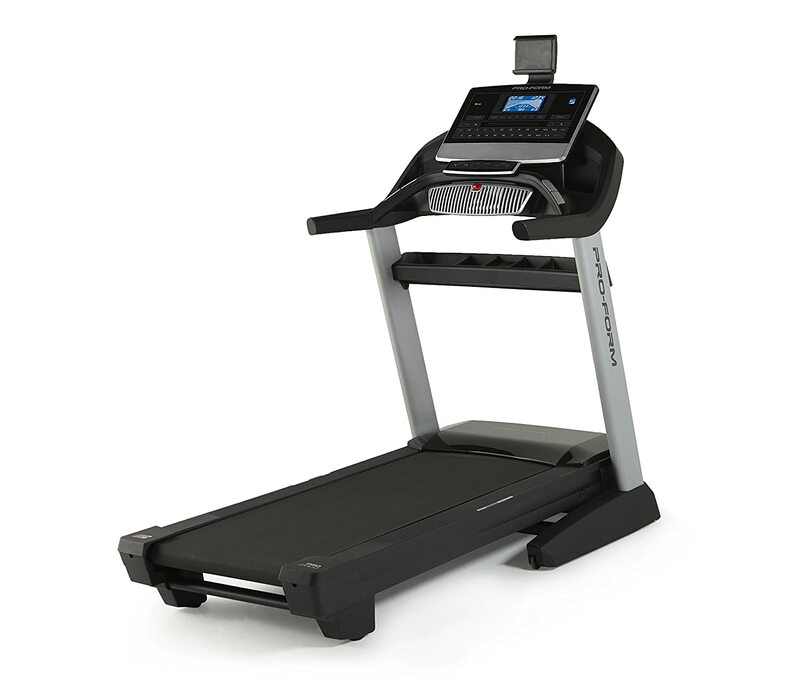 The ProForm PFTL15116 PRO-5000 Treadmill comes with an adjustable tablet holder. You can place your tablet right in front so you can watch movies or listen to music while you are exercising. The features available in its system are numerous as well. It has the standard wireless heart rate monitor, the wireless live tracker, and the iFit compatibility. The sound system of this treadmill is flexible. You can plug an iPod or an MP3 and you can listen to your favorite music with its high-quality speakers. Its motor – again, the second highest on the list – comes with a 4.0 continuous horsepower that they call the Mach Z Commercial Pro Motor. With this motor, you can adjust the treadmill to speeds up to 12 mph. With the inclination options ranging from -3% to 15% incline, the amount of workout options you can have with this treadmill is pretty satisfying. Compared to the other treadmills on this list, the Nautilus T618 Treadmill is the most straightforward treadmill of all. It does not bombard you with fancy features like the Ultra HD graphics LCD screen of other treadmills. What the Nautilus T618 has over its competition is its durability. You can rest assured that no matter how much or how long you run the Nautilus will not give up on you. It has a 2.5mm thick, 3-ply running deck to handle whatever comes its way. Its thick frame means that it is robust in any way possible. 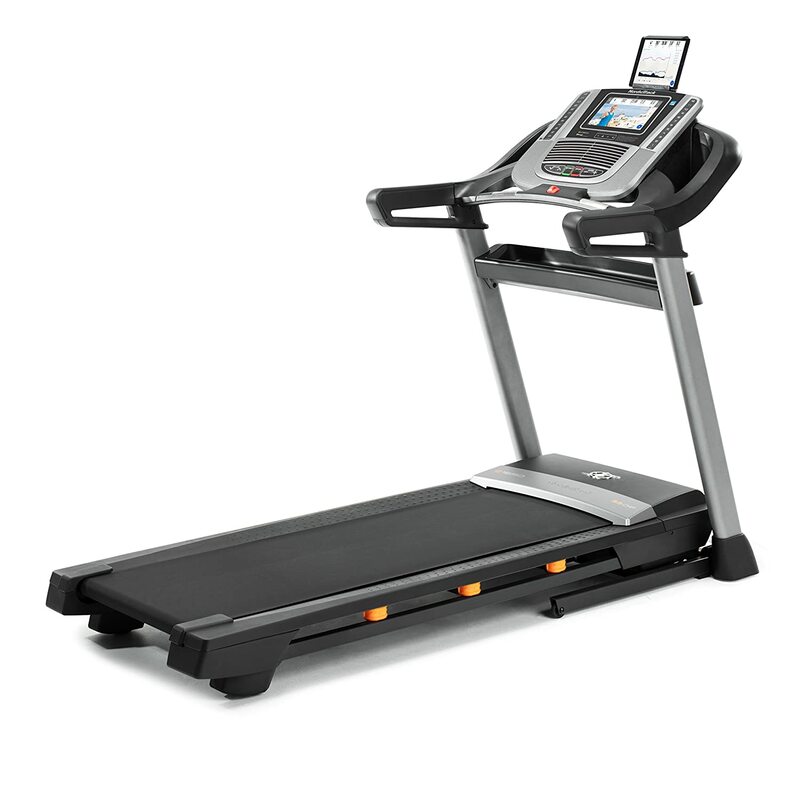 Not only is the Nautilus T618 Treadmill tough, it is also comfortable to run in. It has the rebound deck technology cushioning that severely reduces the impact to your knees when running which makes your experience as good as possible. The Nautilus’ motor might not be the best, but it still has a decent amount of continuous horsepower on it, even being better than some of the treadmills on this list. It also has 26 running programs that you can choose from for your own benefit. The Nautilus T618 Treadmill has one last twist – its RunSocial App. The App can run on the Nautilus’ systems and it offers some unique options. The app lets you simulate a run through 19 different locations with 27 different routes. Not only that – it also lets you sync with other people, making it as if you are running with other people as you go through your routine. This app is generally useful when you are bored and want some additional flavor in your running. This is one of the better treadmills on the list and is definitely one of the best treadmills under 1500 US Dollars. Your choice of treadmill determines your future in terms of fitness. There might be dozens, even hundreds of low-end treadmills out there but nothing beats the features and advantages you get from the best treadmill under 1500. When it comes to health, you truly deserve the best. Overall, there is no such thing as the “absolute best” treadmill. However, with better specs, more features, and comfortable running spaces, the treadmills in this list stand out above the rest. Now it all boils down to finally choosing one of the Best Treadmills Under 1500 and start being fit today!